The second People’s Choice Wine Awards ceremony is being held at The Comedy Store in Manchester on Monday 25th February 2019 from 7pm. 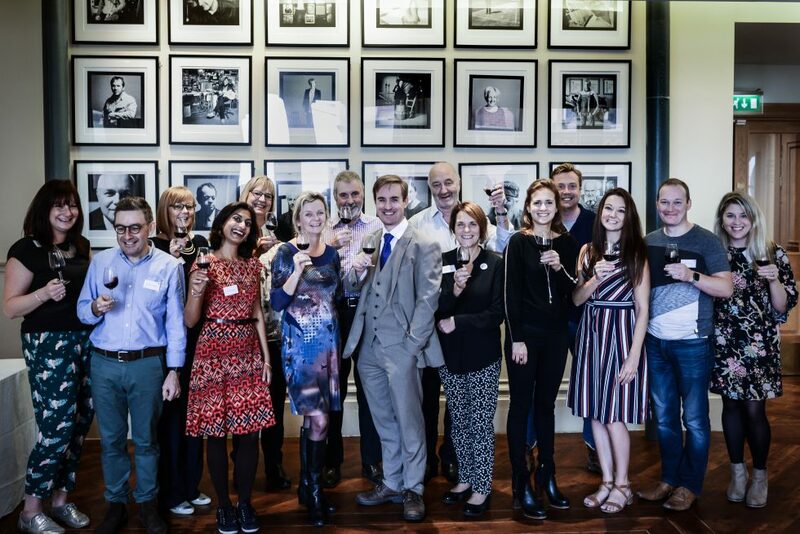 It’s the first national wine awards ceremony to be hosted outside of London and promises to be modern, fun and informal with a touch of comedy too! The ceremony will be presented by home-grown Manchester talent Kate Goodman (BBC Food and Drink presenter and owner of Reserve Wines) and Amelia Singer (The Wine Show and Jamie’s Drinks tube). Both were round 2 judges in this totally unique and consumer-friendly wine competition – the only one to involve ordinary wine drinkers in the first-round judging process! This year saw an uplift of 157% in wine submissions including those from supermarkets Waitrose, Aldi, ASDA and Iceland as well as independent wine merchants, importers, and producers. 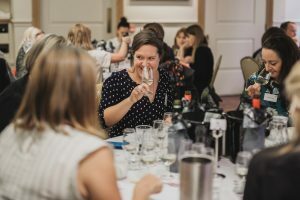 The categories are also unique to the world of wine awards, with names such as ‘One Man and His BBQ’, ‘Girls Night In’ and ‘Pizza Night Wine’ making it easier for the average wine drinker to choose a decent bottle (or box), depending on the occasion or reason to match with food. 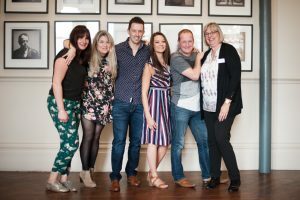 The event will welcome wine lovers, food and drink bloggers and wine trade professionals. Locally sourced food and drinks (including Northern spirits and beers) will be available in a great showcase of Manchester fare. Tickets include free food and drink before and during the ceremony. The results will also be shared via live streams on social media. Each of the winners will receive a limited edition signed cartoon created by Private Eye’s cartoonist Tony Husband who is based in Greater Manchester – more exciting than the usual glass trophy and something certainly worth displaying. If you like wine, you’ll love the People’s Choice Wine Awards. The People’s Choice Wine Awards was created in 2017 by Janet Harrison of Cracking Wine, based in South Manchester. Janet is qualified to an advanced level (Level 3) from the Wine and Spirit Education Trust and is part way through her Diploma. Janet hates wine snobbery and the Awards has been set up to accurately reflect the change in profile of the average wine drinker in the UK, if indeed there is such a thing. An emphasis on encouraging more women to participate and the inclusion of people from different backgrounds is key. The People’s Choice Wine Awards is the only UK based national wine awards dedicated to and judged in the first instance by wine consumers. It gives suppliers and producers a golden opportunity to learn what wine drinkers really think about their wines. It has unique categories which accurately reflect the buying decisions of the average consumer and covers all types of wines and occasions. 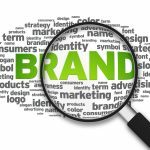 Winning wines are promoted to consumers via social media and the winning wines are taken by the PCWA to consumer events around the country, promoting them on behalf of producers, importers and retailers directly to the people who actually buy and drink the bottles. It is the first competition to offer practical/easy to understand entry categories as well as commercial opportunities to the successful wines.